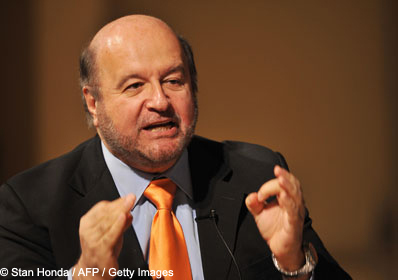 Hernando de Soto – The main message of de Soto’s work and writings is that no nation can have a strong market economy without adequate participation in an information framework that records ownership of property and other economic information. While I don’t agree with de Soto’s position on land titling and side with a more communal and democratic systems of collective land tenure because this offers protection to the poorest and prevents ‘downward raiding’ in which richer people displace squatters once their neighborhoods are formalized, I am aligned with the idea of an individual titling. While neither de Soto nor his opponents wrote about individual titling specifically, and I’m not very fond of the phrase, I’m assuming that they would have called the distributing of ownerships outside of land specifically some version of “individual titling”. More opposing views on de Soto’s high level point of view lend a hand to a century lacking solutions to large complex statistical problems across a population outgrowing the traditional identification of known and own-able things (land included). Robert J. Samuelson has argued against what he sees as de Soto’s “single bullet” approach and has argued for a greater emphasis on culture and how local conditions affect people’s perceptions of their opportunities. Roy Culpepper notes that it is often very difficult to establish who owns what among the poor. He also notes that the titling is biased against those who are completely landless and property-less. Dependency Theory: is a body of social science theories predicated on the notion that resources flow from a “periphery” of poor and underdeveloped states to a “core” of wealthy states, enriching the latter at the expense of the former. Modernization Theory: is a theory used to explain the process of modernization within societies. The theory looks at the internal factors of a country while assuming that, with assistance, “traditional” countries can be brought to development in the same manner more developed countries have. Per Integrationalism I’m not compelled by either of these social thought groups to align in any formal sense, as the prior is simply in defense to the latter, while the latter is lacking sophistication based on culture derived from geographic factors inherent to place. I don’t actually think that economic empowerment can have a group based policy. Its got to be specific to the individual. Actualization through empowerment is what is key, and blanket strategy cant be pervasively compelling. Regarding de Soto’s emphasis on “adequate participation in an information framework that records ownership”, I think that this is where the value exists. If we consider the existing exponential forecasts for human population growth and for the growth of computing power, we start to notice a landscape where human-kind (consisting of humans and their creations) start to outnumber the amount of land and commodities available to be owned and traded for value. Likely reaching the population rage of 10,000,000,000 by the year 2080 C.E., as extrapolated by UNFPA (United Nations Population Fund), none of the confusion over who owns what based on inheritance or acquisition is helping our most urgent PEST dilemma. Identifying and distributing value among the existing human-kind is crucial in assigning carbon-foot prints, identifying information sets which can recommend solutions to how we cooperate in this growingly global community, lowering culture barriers via clichés, and lowering the entitlement gap. The difference between de Soto, his contemporary’s theory, and the most modern day is that we possess the technology to start tracking what I like to call “Portable Value”. Unlike the ties of ownership to static (non or slowly changing physical) entities which is what de Soto and his contemporaries argue about too eloquently, portable value is rooted in identifying ownership of dynamic (changing) and static entities. Reference my General Theory of Value. … Much more to come on this issue ….